The LabCine produces historical, theoretical, critical and technological research in the field of audiovisual arts based on a deep collaboration with computer and network technology researchers. The LabCine develops and researches expanded cinemas, contemporary spaces for cinematic exhibition, archiving and selection of images, scientific and educational narratives, advanced database visualizations, and remote advanced visualizations. The Lab is the result of research, demonstration and production of 4K, 8K and stereoscopy digital images for transmission in high-speed networks that began in 2008 in partnership with CALIT2 (UCSD), Keio KMD, Japan and FILE. LabCine hosts the RNP Remote Advanced Visualization Workgroup content research. The finished Projects are: Ver Cinemas (MINC), MOOCs (Fiocruz/Unasus) / Film “Pixel Race: 8K” (RNP). Projects under development with support: GT-Sensemaking: online edition of streaming (RNP). 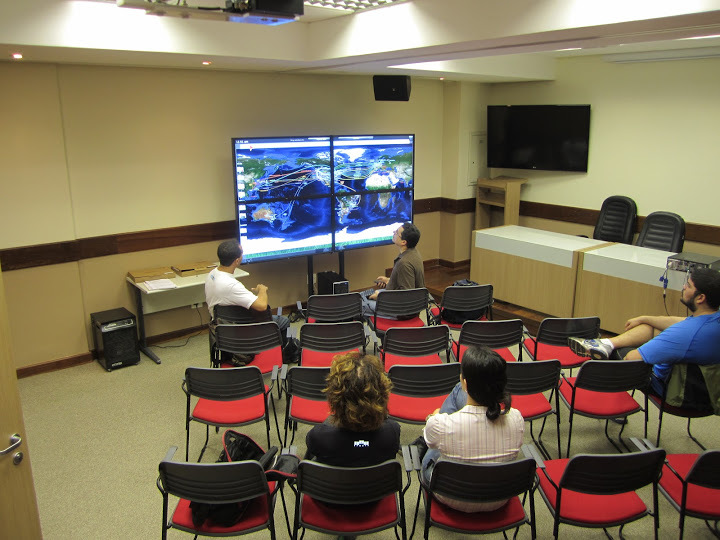 The Lab coordinates the CineGrid Brasil Workshop. The Lab of Cinematics Arts and Visualization is a project associated to the Graduate Studies in Education, Art and History of Culture and to the College of Computer Science and Information at Mackenzie University (Brazil), with support from the Working Group of Advanced Visualization from The National Educational and Research Network (RNP). The Lab is also member of the CNPq groups list and hosts many partnerships with cultural and academic institutions in Brazil and abroad.